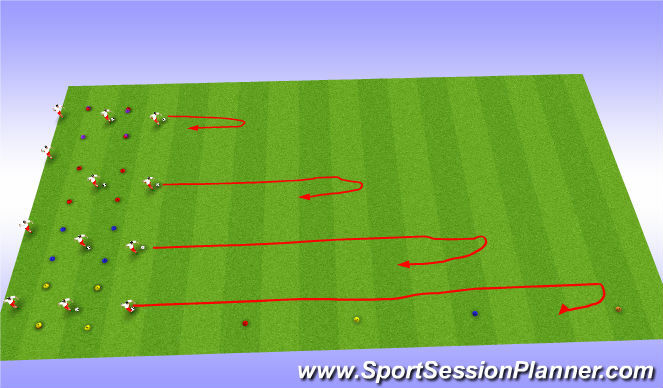 -on coaches command players will dribble to a certain colour cone and perform a turn. 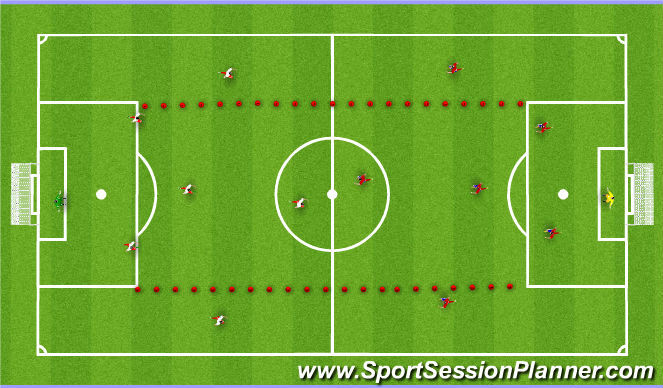 -Ex- white team dribbles to yellow cone and back, red team dribbles to blue cone and back. -inside cut, outside cut, pull back, cryuff turn, sole of foot ( u-turn), step over. 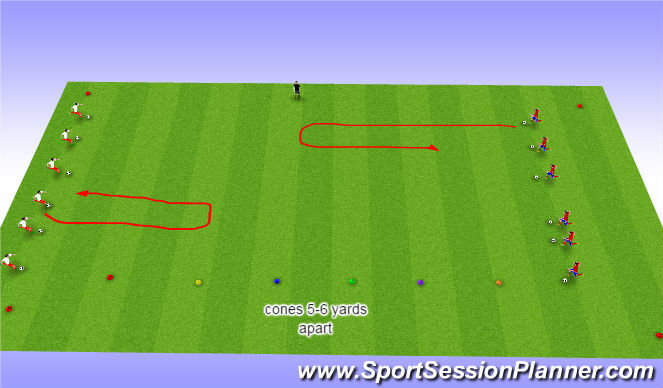 -cones along the side roughly 8-10 yards apart. -player on the outside gets his rest. -keep under control, quick with speed, head up, sharp turns on the ends. -outside players stay wide and are not allowed to leave the area.